Due to the traditional dive watch design and to its ability to evoke turquoise blue seas and deep reef dives, this luxury watch will certainly help to kill your winter blues. 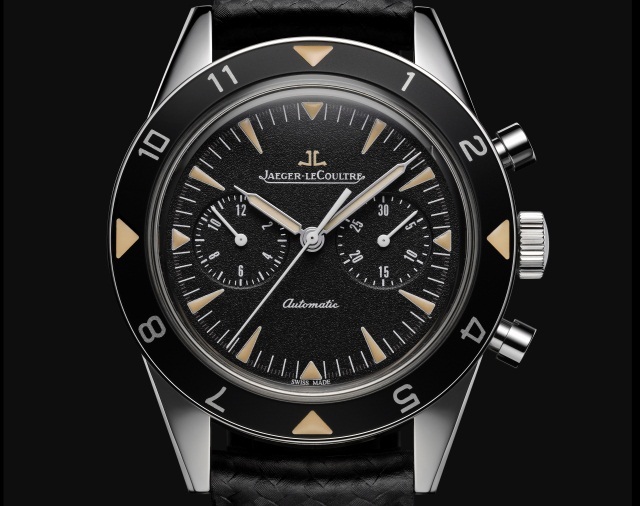 If you’re about to go snorkeling in the great barrier reef, or sea diving in the any ocean paradise, you maybe shouldn’t consider the new Jaeger-LeCoultre Deep Sea Vintage Chronograph. You don’t need to be a great diver to wear this watch, In fact, you don’t need to be a diver at all, because The Deep Sea Vintage Chronograph is not a diving watch! It has a fixed bezel, and it is water-resistant only to 10 bars (100m).But it makes a serious statement lying on your wrist beach side.